Oneness - How We Are All One - Better Believe It! I believe in the concept of oneness. At first, the whole concept was just one I wanted to believe in because it made me feel connected, important, and not so alone, but for a while, I couldn’t completely wrap my head around it. I mean, we seem to all be so separate with such differing experiences and opinions, so how can we “all be one”? So I studied, read, researched and spent years gathering the proof I needed in order to really know, for myself, that the idea was true. I had some experience of it in states of deep meditation. Not everyone believes that we are, indeed, all one, but I do. Here’s how I see it. 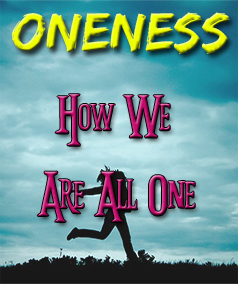 Well, it’s kind of self-explanatory, but oneness just means we are all connected or more precisely, all parts of one whole (that are still connected). Since everything is one, what I do to you, I do to myself. For me, the whole that everything is a part of is so vast in its knowledge and complexity that it’s hard to grasp mentally. It’s definitely difficult to describe with mere words. Some say that you (or your higher self) are everything – the entire cosmos exists as a projection from your (higher) consciousness. You are that rock, that flower, that person over there, that star in the sky. You are it all. I feel there was this All, this conscious Being beyond time who, for whatever reason, wanted to know itself. The only way we truly know something is to experience it, so you could substitute the word “experience” for “know”. I read a great explanation of this concept in a book called: Reality: The Beginning, but I lent the book out, it was never returned, and I have never been able to find another copy of it. Neale Donald Walsch explains the same concept in his Conversations With God books. This Being is Light, and Love, and Compassion, and a conglomerate of all the things we deem “good”. But to know itself as love, it needed to step where there was no love to be able to “know” love. If all there is is love, you cannot really know it because there’s nothing but love – there’s nothing to step out into from where you can look back and see the love. Love is all there is. Other people have explained it using a tree as a simple example, although this example doesn’t really illustrate the duality, or the mirror image aspects of it. Imagine all there is is a tree. The tree is the Whole. The people, animals, rocks, stars, etc. are the leaves. They are part of the whole, but appear separate. They get sustenance from the whole, and they contribute to the Whole in return. Another aspect of oneness is the complete inter-connectivity of all parts of The One.Take each tiny aspect of the Whole. It is not closed off or separate from the All. It’s not a “closed system”. Take a person, for example. Now take one tiny aspect of this person – say his nutritional needs. Say he eats a piece of watermelon. Wind blows cold air, and it meets up against warm air. Clouds form along that front. The cloud fills with water droplets that the sun causes to evaporate from the lakes and rivers. Eventually, the water falls to the ground as rain. The rain gathers minerals and elements from the soil, and the watermelon seed soaks it all up. The cycle of sun and darkness cause the plant to grow and produce the watermelon. The wind is in the watermelon, as is the sun, the earth, the water, and the moon. The farmer tends the watermelon plant and makes sure the pests and the weeds don’t kill it. He harvests the grown watermelon. Workers package it, and a truck carries it to market. The stock boys display it, the cashier rings it up, and you buy it. The farmer, the truck, the gas, the trees that make the cardboard box it gets carried in, the people who make a living transporting it, displaying it, selling it, etc. are all a part of the watermelon. You eat it, and it all becomes a part of you. You’re not just eating a piece of watermelon, you are taking in the sun, wind, rain, etc. Nature abhors a vacuum. There truly are no closed systems in nature. Everything gives and takes from the Whole. How are we connected to the whole, other than through the inter-connectivity processes I just described? Well, know, for example, that when you look at the atoms that comprise matter, they are 99.99% space. The 0.01% that is not space is what we call matter. And space is not just an empty vacuum. More and more research is showing that there is a field that transcends time and space and connects everything1. I must note, however, that scientists have not agreed upon a unified Theory of Everything yet. How Do People Experience Oneness? Believing something in your head is one thing, but knowing it from your own experience is another. So how do people know that we are all one and what we do to another, we do to ourselves? I noticed a rose near me (in a garden)…I wanted to experience its life, to step into it and feel its spirit. As this thought came to me, it was as though my vision had become microscopic and allowed me to penetrate the rose’s deepest parts. But it was much more than a visual experience. I felt the rose’s presence around me, as if I were actually inside and part of the flower. I experienced it as if I were the flower…We are all one! I was in-filled, overfilled, completely filled, spilling over with this Oneness, this Love-Hope-Joy-Beauty-Truth-Charity-Kindness-Compassion-Love-Patience-Beauty-Love – this Unity. I became it… And then I entered my own Hell. It was the hell I created for myself. The hell I suffered was to see, hear, feel, understand, and embody all of the pain I had ever caused during my earthly life to anyone I had known, from their point of view. Every hurt I had ever caused, was piled up for me to see and feel and experience. I had carried their pain with me and brought it into the afterlife. Peter Baldwin Panagore, Heaven is Beautiful, pp. 85-86. God is The One because God is the source of everything. There is NO THING other than God. Everything came from God and everything returns to God. God is enjoying being every one of God’s creations. 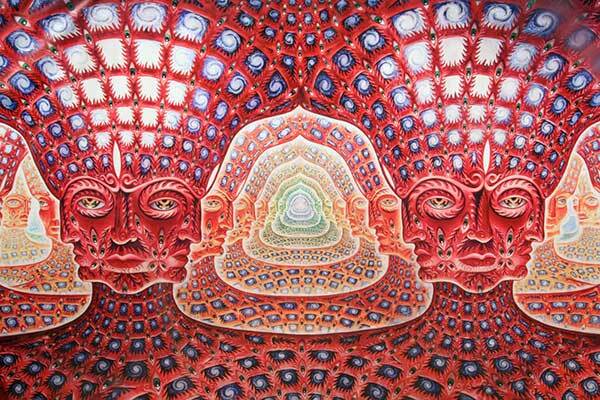 Imagine contemplating yourself from all the points of view of everyone in the universe. It’s God being God through God’s creation. Howard Storm, My Descent Into Death, pp. 69-70. Seeing and hearing were not separate in this place where I now was. I could hear the visual beauty of the silvery bodies of those scintillating beings above, and I could see the surging, joyful perfection of what they sang. It seemed that you could not look at or listen to anything in this world without becoming a part of it – without joining with it in some mysterious way. You couldn’t look at anything in that world at all, for the word at itself implies a separation that did not exist there. Everything was distinct, yet everything was also a part of everything else, like the rich and intermingled designs on a Persian carpet…or a butterfly’s wing. Eben Alexander, M.D., Proof of Heaven, pp. 45-46. I continued to sense myself expanding further and further outward, drawing away from my physical surroundings. It was as though I were no longer restricted by the confines of space and time, and continued to spread myself out to occupy a greater expanse of consciousness. I felt a sense of freedom and liberation that I’d never experienced in my physical life before. It didn’t feel as though I’d physically gone somewhere else – it was more as though I’d awakened. My soul was finally realizing its true magnificence. And in doing so, it was expanding beyond my body and this physical world. It extended further and further outward until it encompassed not only this existence, but continued to expand into another realm that was beyond this time and space, and at the same time included it. I was continuing to expand to fill every space, until there was no separation between me and everything else. Anita Moorjani, Dying To Be Me, pp. 64-65. But some people don’t believe the stories and experiences told by people who were clinically dead and then resuscitated. And having an NDE isn’t exactly what anyone would choose to do. 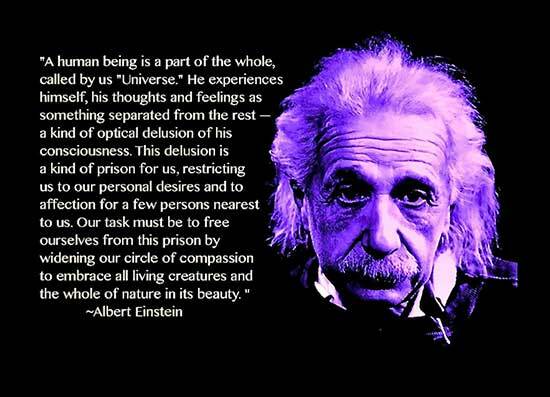 So how else do people experience this sense of oneness? Mystics, shamans and just regular people throughout history have told how they’ve had similar experiences – without dying. Sometimes it happens through a practice of meditation whereby the practitioner quiets the chatter of the conscious mind. Sometimes it happens through the use of psychadelic susbstances. And sometimes it just happens. It seems that we can experience this sense more often when we quiet the chatter of the logical right half of our brain. 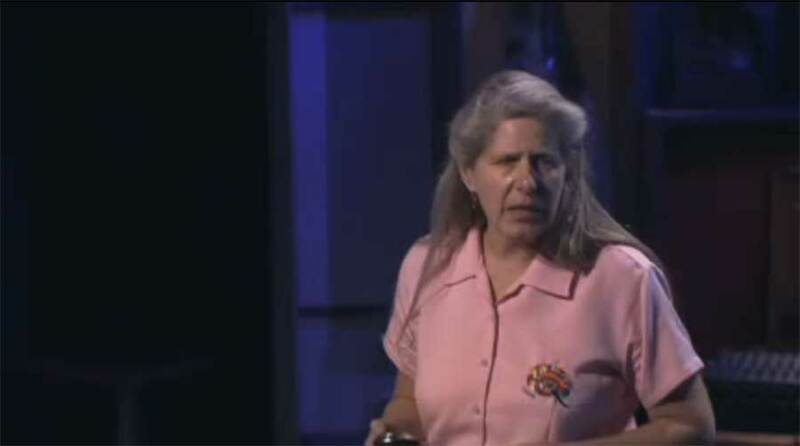 Jill Bolte Taylor had a stroke which disabled a portion of her left brain, and when her right brain took over, she, too, experienced a profound sense of oneness. We can often attain this effect by practicing meditative practices. You can hear her tell about her experience here. 1. Read this blog, or “The Field” by Lynne McTaggart or “The Divine Matrix” by Gregg Braden or any number of experiments, theories, books and articles written in the last century.